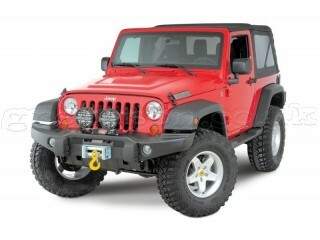 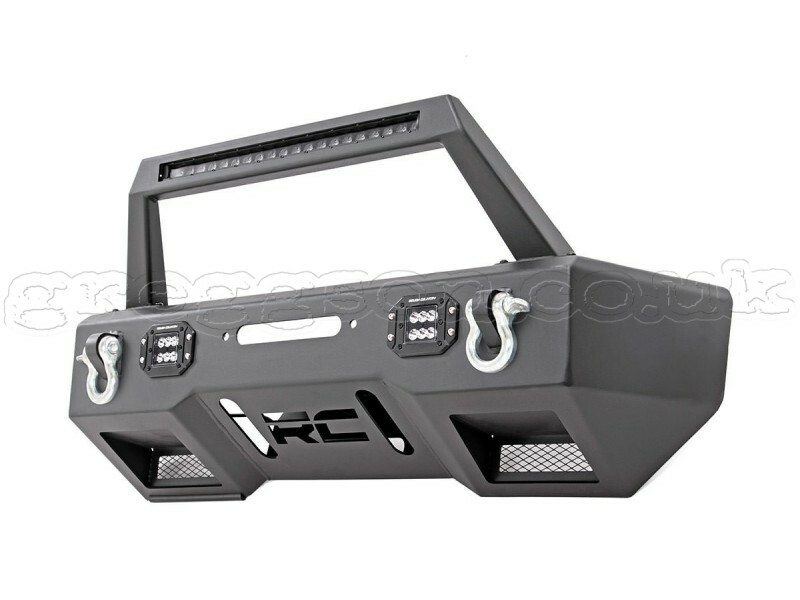 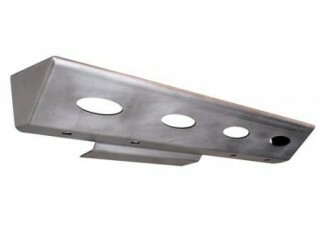 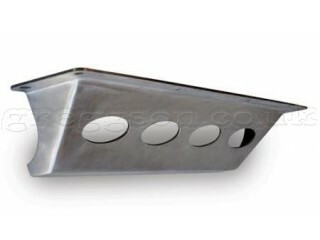 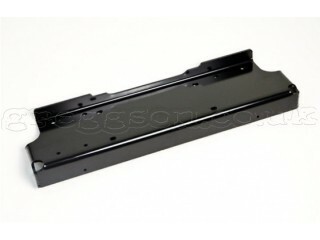 Greggson off road, offers Front Steel Bumper LED with Winch Plate Rough Country very high quality. 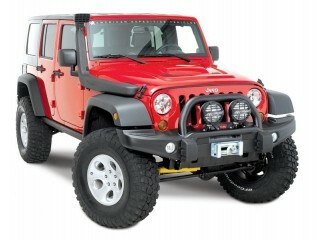 Upgrade your Jeep’s front bumper with the sleek, modern design of Rough Country’s JK Stealth Stubby LED Bumper. 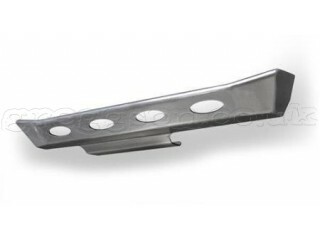 This uniquely designed bumper features a futuristic look that provides unbeatable front-end protection while the stubby design offers plenty of clearance for better approach angles. 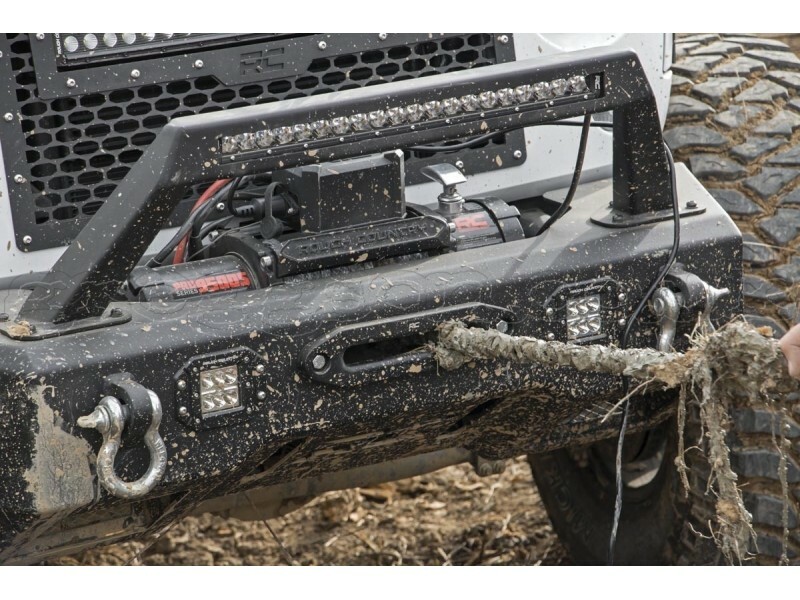 This bumper features a set of integrated Rough Country 2” Flush-Mount LED Pods for powerful off-road lighting any time you need it. 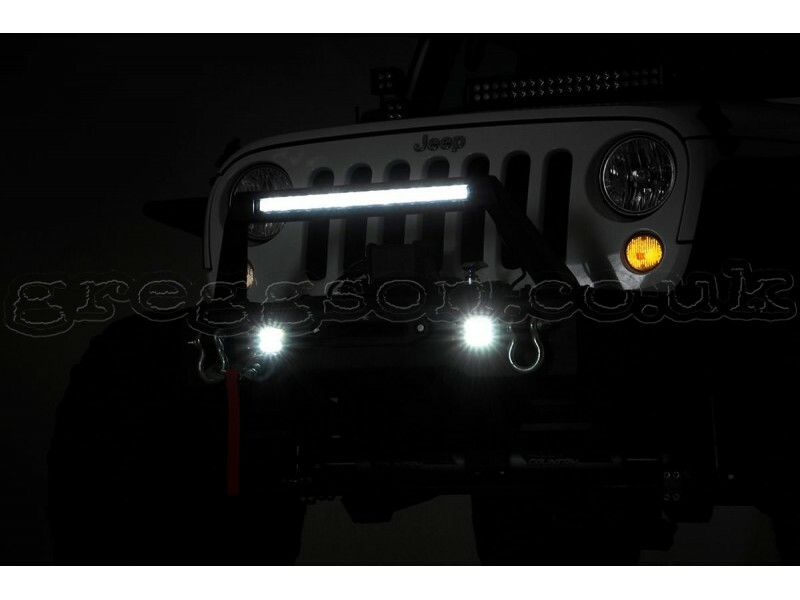 Add even more lighting with LED Light Bar Hoop featuring a 20'' Single Row Rough Country LED. 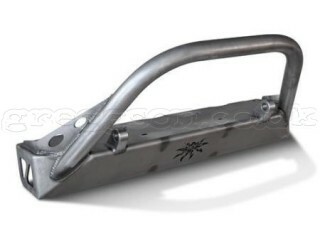 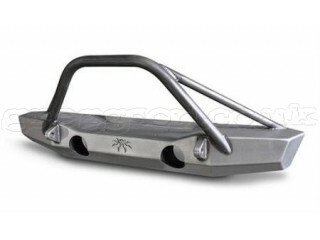 This solid-steel bumper also features a handy winch plate to run any standard sized winch and includes a set of D-rings for easy recovery. 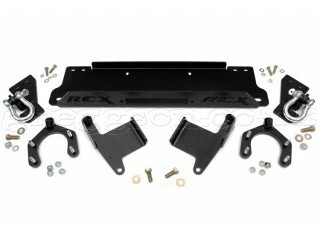 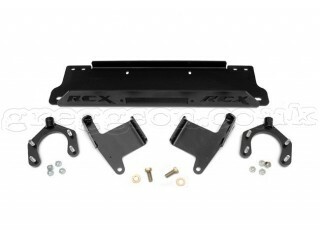 The lower portion of the bumper features a laser-cut “RC” logo and mesh plates for head-turning good looks. 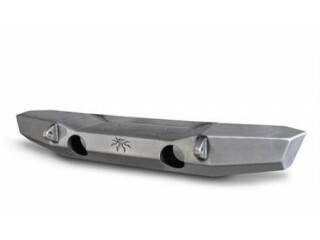 Stubby design offers plenty of clearance for better approach angles. 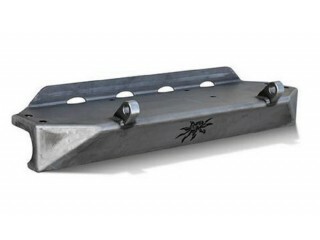 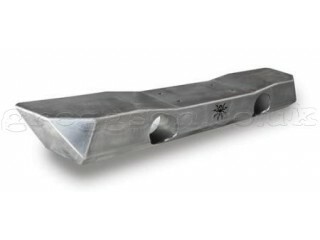 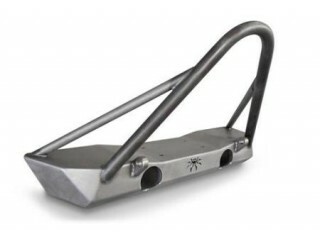 Manufactured from durable 5/32" steel. Includes 2" Flush Mount LED Cubes 36W - 2880 lumens. 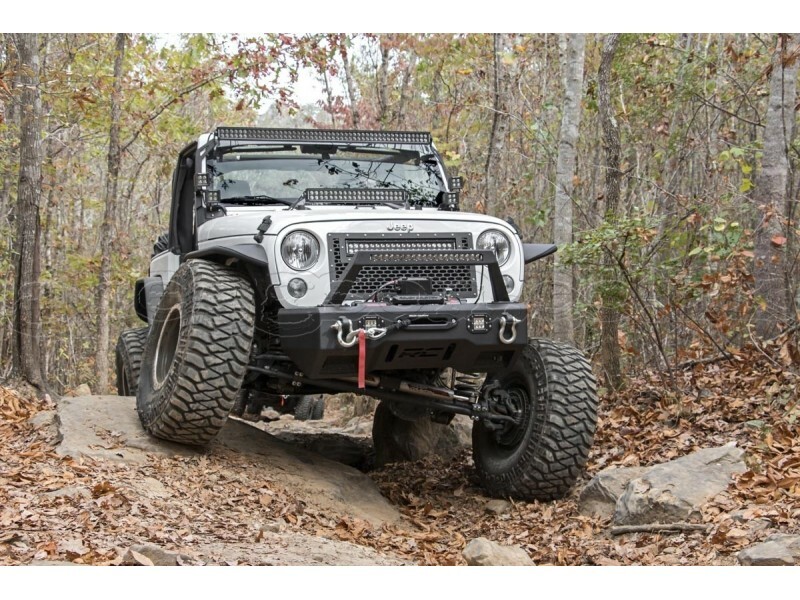 Bull bar with integrated 20'' Single Row LED 90W - 7200 lumens. 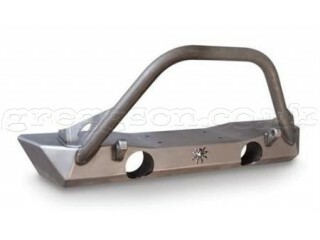 Includes D-ring set - 4.75 ton capacity.